Hi everyone, I finally got you all added to our newsletter. Illectric Sheep is the site hub of my operations and I will be sending out all updates from here on Konoyo Short Film and other projects to come as blog posts that will go directly to your inbox. 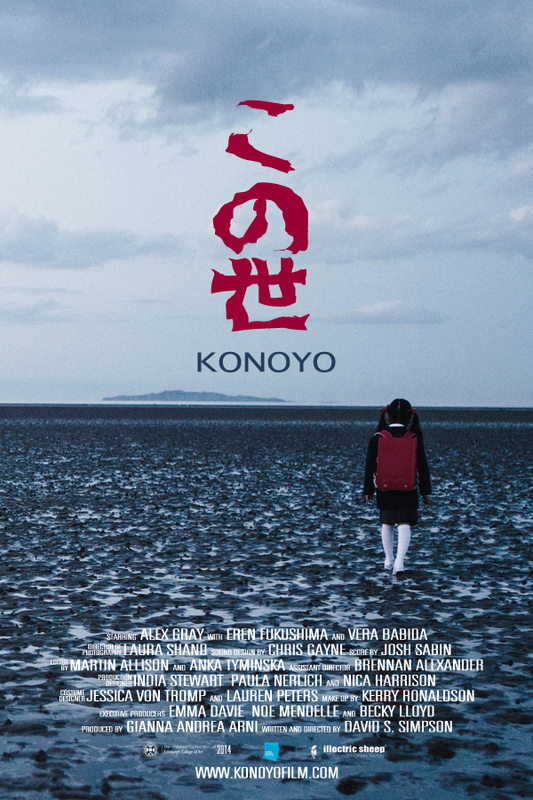 KONOYO is a Japanese style supernatural short film set in Scotland and Japan. The film tells the story of a teacher's struggle to unlock the mystery of one of his elusive students. My film has evolved to become a personal story drawing on my experiences living in Japan. These experiences combined with the impetus from the real life events (2011 Tohoku Earthquake/ Tsunami disaster) have set the backdrop for my film project. At the moment the film is still in the post-production stage, the running time looks to be estimated at about 6 minutes so far (don't expect too much lol!). This purpose of the the project is to serve as a calling card for future films. I wrote and directed the thesis film and brought it to life on screen with +20 of my fellow students. It will be exhibited at the Edinburgh College of Art Degree Show in August 2014. The film will be released to Kickstarter campaign backers first and to others later on. Once again I would like to say thank you to all my Kickstarter backers, and other supporters. I am proud to release our new poster for Konyo Short film. Please share the love...much appreciated. Thank you. Older PostWhy I Cut Some of my Favorite Scenes?